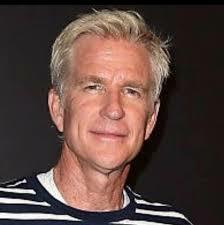 Matthew Modine is an actor, an activist, a filmmaker, and so much more. When he steps on to the screen you know you are going to get his best performance and you know that it is going to be original and inventive. Full Metal Jacket – Private Joker was one of the best parts of the movie and is one of the most memorable characters in the film. This role set Modine apart from all the rest. Cutthroat Island – People really hate this movie but I have always enjoyed it. Modine and Davis play well together in this pirate-y romp. Stranger Things – This is one of the best Netflix originals EVER. Great cast and an interesting storyline. Modine plays the baddie to the max. There’s a discipline. When you take someone’s portrait, you don’t have to take 50 photographs, just find that one so that when you release the shutter, that’s the image that you took.